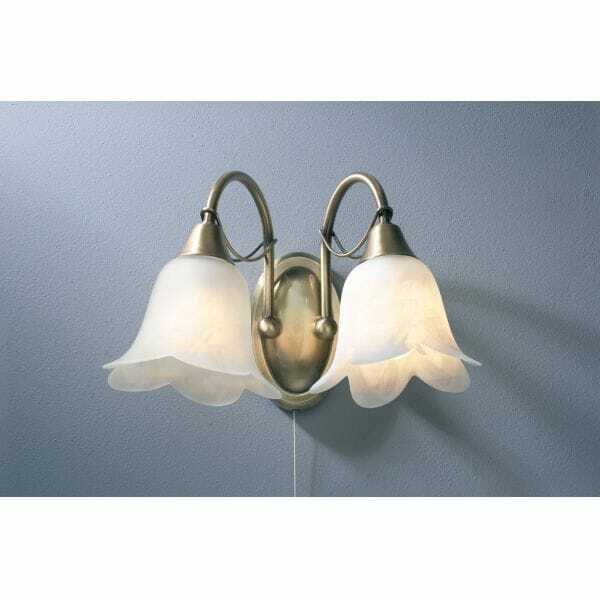 Dar Lighting Doublet 2 light wall fititng features a decorative oval back plate with curved arms in either antique brass or polished brass finish and fluted alabaster glass shades. The product code for this Dar wall fitting is DOU0975 in antique brass, DOU09 in polished brass. An elegant fitting that would be a sophisticated touch to any suitable room within your home and is operated by a pull cord switch. There is a 3 light fitting, 5 light fitting and single wall light in this range, which can be viewed on our website.